Welcome to another one our JTA Presents: Evolutions features! Let’s check out how close or far we are from having an ideal Hasbro 3.75″ Emperor’s Royal Guard action figure. Have we arrived at definitive status yet? Weigh in and let us know what conclusion you’ll come to by clicking through and adding your two cents in the comments! ← The Black Series [Phase III] Force FX Z-6 Riot Control Baton Pre-order! A Dozen TBS [P3] 3.75" ERGs For A Great Price! 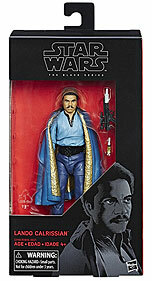 There is another great lot of The Black Series [Phase III] 3.75″ figures on eBay. This time for the Emperor’s Royal Guard. Check it out! If you missed out on these figures, Amazon has them in-stock for just about retail price. Make sure to follow the links to pick up these really great figures. Be sure to check out the Research Droid Reviews as well! Hot Toys also gives us a look at the newly announced and amazing Royal Guard sixth scale figure! Check out the full gallery on their Facebook page! 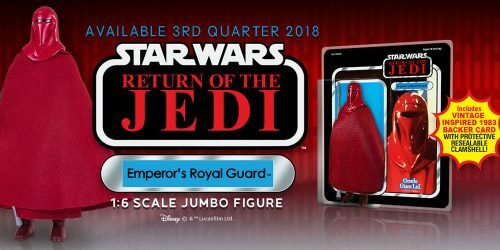 Gentle Giant has posted their Emperor’s Royal Guard Jumbo Figure up for pre-order. Click here for the pre-order page. All of our individual retail store reports are anecdotal at best. From these experiences comes discussions so we can compare and contrast what others are seeing as well. But when it comes to the TARGET exclusive “Return Of The Jedi” three-pack, I have seen some interesting trends. In three of my local stores, this set has completely sold out. I haven’t witnessed an exclusive selling through this quickly since before The Force Awakens (and these are only 5POA figures). I can’t help but think that longtime collectors who grew up with the Original Trilogy are still a strong buying market when it comes to Hasbro toys. I constantly hear from those that think they know all about Hasbro’s stats that collectors are not a significant portion of the buying public for Star Wars toys, yet I am constantly reminded that the opposite of this is true with experiences like this. Again, in my local TARGET stores are seas of Rey (Jedi Training), Kylo Ren, Jyn Erso, Imperial AT-ACT Driver, Rogue One three-packs and a ton of Forces Of Destiny products. But the only Original Trilogy-focused set has sold through in three of my local stores. How can anything against this be argued? I think Hasbro needs to reevaluate their market. Hasbro, get more Original Trilogy stuff into stores and you’ll see sell through again like we did during the Golden Age of Collecting (2006-2012). I meant to post this on Tuesday evening, but I ran out of time because of holiday travels. My local TARGET, much to shock and surprise, had the “Return Of The Jedi” three-pack out of the shelf. As you know, we’re crazy in love with this set and are hoping Hasbro will translate all of the figures inside of it to super-articulated glory. You can check out our review of this set HERE if you haven’t checked it out yet also. 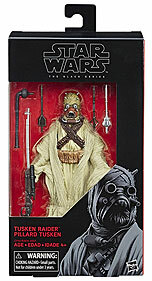 Check out the Target exclusive Return of the Jedi 3-Pack in tonight’s Visual Guide update. Click below for the full guide page. This was also today’s featured review. Click here for the full review. It’s beautiful! The Emperor Palpatine/Luke Skywalker/Emperor’s Royal Guard TARGET exclusive three-pack may not contain super-articulated action figures, but that doesn’t prevent it from being a fantastic multipack. Find out why we’re partial to this exclusive in our Research Droids Reviews today! Be sure to leave your thoughts in our comments section, vote in the poll or even comment about it on our Facebook page. Click the banner below for the direct link to the review! As always, you can also send your review requests via email if you’d like to see something that we didn’t cover yet. Hasbro has produced one of the greatest 3.75″ three-packs the line has ever seen with this release. Love them or hate them, the 5POA figures included in this set represent some of the best/finest likenesses of three core Original Trilogy characters. Most of the figures in this set come with more than 5POA. The figures are NOT perfect, but the approaches made with them show that Hasbro is committed to creating products that are as faithful as possible to their onscreen counterparts. Emperor Palpatine is the best Episode VI version of the character ever. Luke Skywalker could not be more reminiscent of the 1983 figure. And, while as simple as it could be done, the Emperor’s Royal Guard is exactly what we need for an “at attention” iteration of them. Start praying now that Hasbro takes the digital files, at the very least, of the Emperor Palpatine figure and develop a glorious The Vintage Collection version. We all have waited WAY too long for that figure. Also, be sure to come back and check out the review on Black Friday where I have a couple of cool snippets of trivia that you may or may not know about these figures. Click any image below to be taken to the early draft of the RDR. JTA reader Richard P. sends us a cool store report from Fred Meyer in Lacey Washington. 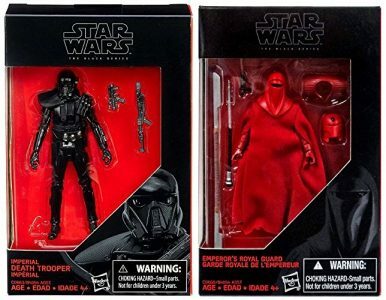 Unbelievably they’re getting in kicker displays full of The Black Series [Phase III] Emperor’s Royal Guard wave which also includes Lando Calrissian, Tusken Raider and the revised K-2SO (among others). To date this case assortment has barely made an appearance at retail, so maybe they’re finally beginning to hit now. TARGET has added a preview page of the Star Wars Force Link Star Wars: Return of the Jedi Battle three-pack. It has a release date of November 1st. It’s cool to know we’re finally getting that Emperor’s Royal Guard that was planned for the Rebels line a few years ago, although, it will be retooled to accompany the Force Link feature. Special thasnks to JTA reader Ginji A. for the alert! TBS6 [P3] Imperial Royal Guard IN STOCK On Amazon! The Black Series [Phase III] Imperial Royal Guard is IN STOCK on Amazon for $21.99! Special thanks to Michael W. for the alert! UPDATE: Sorry folks, I checked stock twice before posting and it was there. It’s gone now. Emperor's Royal Guard BACK IN STOCK For $10.83! As of the time of this post, the Emperor’s Royal Guard is IN STOCK for $10.83! Look at the options BELOW the product page! The Death Trooper is in stock too! Special thanks to JTA reader Thomas P. for the alert! ← Hasbro Toy Shop Lists All Three TBS6 SDCC Exclusives! Sideshow Collectibles Reveals 1:6 Scale Emperor's Royal Guard! Another Shot At 3.75" Walmart ERG! As of the time of this post, the Emperor’s Royal Guard is IN STOCK for $10.83! Thanks to Will and Craig for the heads up! Update: Gone! Keep checking though! They have been coming in and out a lot lately. ← Can't Wait To See More Of Disney's Star Wars Land? HURRY! The TBS [P3] 3.75" SA ERG Is BACK IN STOCK! As of the time of this post, the Emperor’s Royal Guard is IN STOCK for $10.83! UPDATE: It’s history – keep checking throughout the day! These have been popping in and out of stock! There has been constant speculation about the validity of the claim that the Imperial Royal Guard was available in a solid case pack. Because as humans we need visual evidence before belief, here you go. These images were posted on Star Wars Black Series 6″ Collectors Facebook page by member Pete N. who found them at GameStop. As we have alluded to in the past, not all retailers were offered these which is why some may not know of this case’s existence. IRG Is Back In Stock At Gamestop! Back in stock at GameStop if you need it! GameStop.com Is Taking Orders For The Imperial Royal Guard Now! Order it at GameStop if you need it! Special thanks to JTA reader thereverend5150 for the alert! 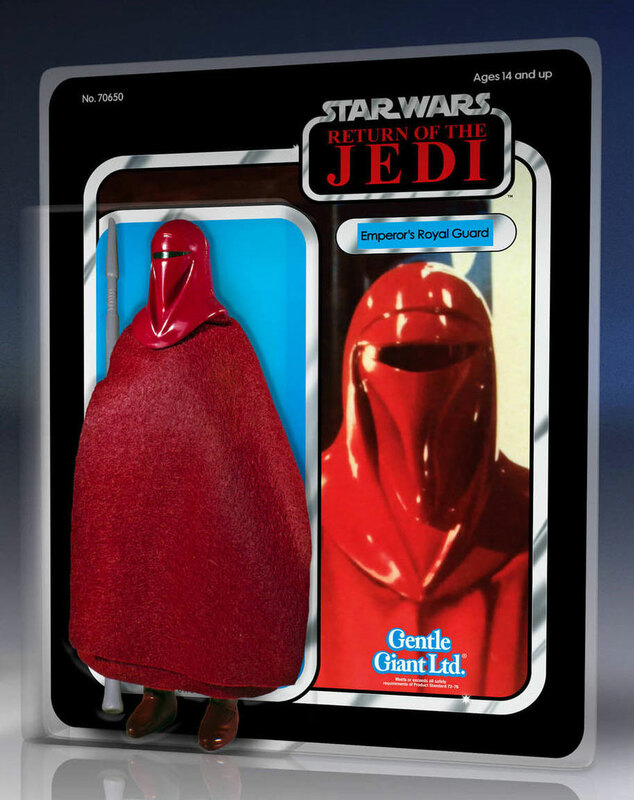 The Imperial Royal Guard is currently IN STOCK at HTS. Thanks for the alert, Raul! Hurry! TBS6 Wave 11 Back In Stock For $21.99 Each! They’re back in stock as of this posting time. ← TBS6 Below MSRP Almost Everywhere Now - What's Going On? 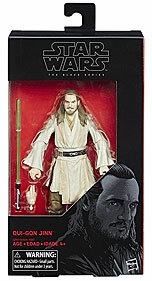 TBS6 Wave 11 In Stock On Amazon... But Going Fast! Get them while you can. Currently listed at $21.99, but probably not for long. Pre-order Imperial Royal Guard, Qui-Gon, Lando, Tusken Raider NOW On Amazon! Pre-order (Royal Guard, Lando, Tusken Raider and Qui-Gon) wave 11 on Amazon RIGHT NOW! Special thanks to Jeff D. and darthvaderdisco for the quick alerts! UPDATE: It seems to be a similar situation to yesterday, frequently coming in and out of stock. I suggest enabling 1-click and just keep refreshing. Pre-order TBS [P3] Imperial Royal Guard From Dorkside Toys! Pre-order the TBS6 Imperial Royal Guard from JTA sponsor Dorkside Toys. Limit three (3) per customer. 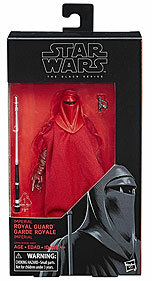 TBS6 Imperial Royal Guard IN STOCK At Hasbro Toy Shop! HURRY! Limit two per person at Hasbro Toy Shop! In fact, the whole wave in IN STOCK! Special thanks to Steve U., Justin V., Mike R., Dennis M., and Craig P. for the instant alerts!